A subscriber asked how the Transparent Fairy Wings could be made to work if your doll doesn’t have the type of shirt/bodice that you can slip the U into. If you haven’t seen the How to Make Transparent Fairy Wings for your Doll, you can find that video here. Here’s an alternate method of wire configuration that you could use. You will need either clear elastic or ribbons to attach the wings to your doll. With this configuration, instead of making the U bend, you just leave a straight piece of wire about 1/2-3/4 of an inch long in between the sections that attach to the wings. 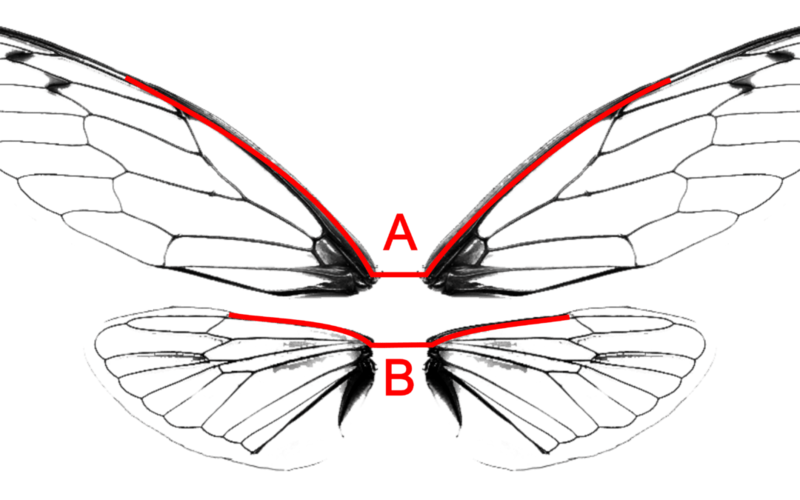 Before you glue the wire to the wings, twist A & B together so the wings will be joined. Then colour the wire and glue it to the wings the way I show you how to in the video. Once the glue has set and dried, wrap the middle twisted section with white floral tape the same way you would wrap the U. Then you will need to attach clear elastic loops or ribbons to the middle section for your doll to wear over their shoulders – like a backpack. Finally, you may want to glue some gems or flowers on top of the twisted section to hide it. I hope that helps! If you have any questions, leave them in the comments or email me at support@kelibudesign.com.